9 Guaranteed Ways to Host a Successful & Memorable Golfing Event! After 12 years of growing an developing my Cloud9Golf baby, I can confidently and proudly say I’ve clocked the mastery hours in the arena of hosting golf events! There’s no escaping this one. You will need to allocate budget towards gifts for your guests. You want them raving post your golf event about the amazing goodie bag they received from you! Step 1: Confirm spend per golfer. Step 2: Ensure the most value for your money. Step 3: Include items of value to a golfer e.g. sunscreen, golf tees, golf marker, pencil, bottle of water, 4-play 2 pay golf course 50% discount vouchers. Step 4 – maximise the branding/exposure at your fingertips and ensure the gift bag has your company logo on and offers exposure + longevity post the golf day. Imagine the impression you would make giving golfers a goodie bag worth R21 000 that only cost you R165?!! Whatever the extra spend you now allocate, will blow them away.. for sure!!! So how DO YOU get the most value for your spend per golfer?.. Look for gifting suppliers who can offer you more value than what you spend & leverage their partnerships and experience in the industry to make your money go further. It makes sense! There are gifting suppliers who can give you goodie bags, with content worth 10, 20, 30 times than what it would cost you if you sourced that content on your own! Energy is infectious!!! Energy is memorable!!! Make sure your representatives are full of beans and welcoming! • The number 1 most annoying thing to golfers, besides team members arriving late for tee-offs, are promo girls who are shy, giggle and talk on golfer’s backswings! • Whilst a number of companies sponsoring holes feel that young pretty girls are a must, unless they are confident, project professionally and have an understanding of golf etiquette, they are actually not doing themselves nor their brand any favours. • To have quality time with clients or potential clients. • To network or thank your clients – client recognition. • To distinguish your company from your competition. You have a captive audience, a great opportunity to make an impression, share a message and “educate” a high LSM target market about your company. Invest time before the event, brainstorming what you want to ensure is communicated about your company on the day, and make sure the representatives on the day are crystal clear on this objective too. Alternatively, source a professional events and promotions company that can perform this function whether it’s a golf day or a hole promotion and add value! • It is a golf event after all. Think about things that a golfer would like to win. • Be careful of going for prizes, just for the sake of it, and remember that +- 9% of your field have a great day out on the course, so reward them appropriately. • Don’t forget the other 91% who, whilst might not have got a great golf result, might also like to win a prize and has a reason to stay for the prize-giving dinner. • We all like to win, so consider a couple of Lucky Draws? This is far more exciting than winning a toaster or a braai in 25th position! 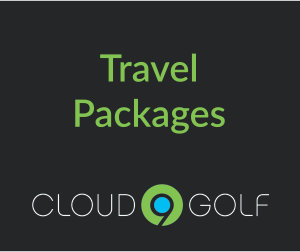 • Here too, look for service providers who have established relationships with golf related services, products and offerings and leverage those relationships to get better value on prizes. Golf lovers will have golf specific items on their bucket list. Like playing at certain of the top, most exclusive South African golf resorts. What better way to make an impression than by having a prize from one of these prestigious destinations? • A golf day is a truly unique occasion and is probably the most admin-intensive event to host. • Ensure your invited guests are golfers, and it’s vitally important to get the necessary information in advance to run a credible and enjoyable day for all. Information like handicap, golf club membership, shirt size, cell number and special dietary requirements. • Communication prior to the event is of the utmost importance to set a professional tone. • As the host of a golf day, YOU should be focussing on your clients and not on the event! Choose service providers who are flexible to meeting your needs, and add value – service providers with a win-win mindset. The only real complaint we have received at golf days is that there wasn’t enough to drink! Remember, even if it isn’t hot out there, the average golfer spends 4 and a half hours – 5 hours on the golf course and refreshment holes on each 9 immediately puts your event or sponsored hole as a WIN! 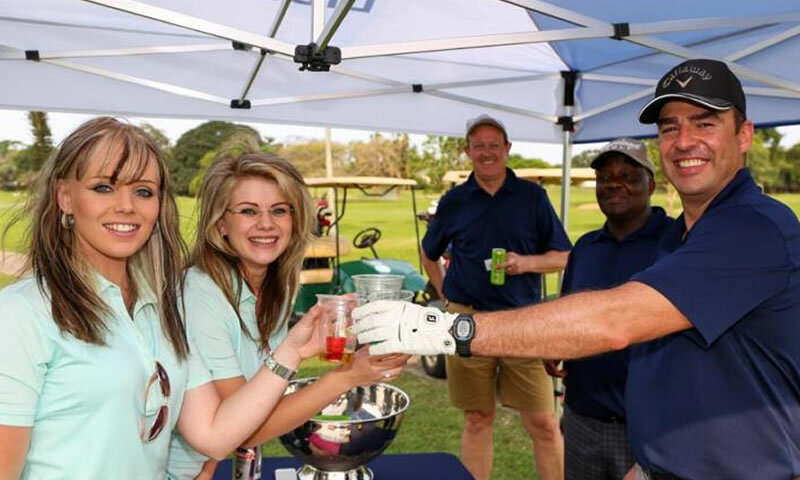 Golfers rave about holes where they could grab a beer, an Energade, a water – ANYTHING ICE COLD to drink! Shooters are fun, but ensure you have other cold beverages too – not everybody drinks and you want to make sure that you cater and appeal to all tastes. So this is yet another opportunity to make an impression, by sourcing innovative food and beverage options. It’s worth investing in sourcing service providers who have partnerships with creative and innovative food & beverage suppliers, and have negotiated great prices already, and only represent the best! The better the prizes, the easier it is to sell tickets. And the more tickets sold, the more money raised. Since these are golfers, brainstorm ideas and options that would excite a golfer. 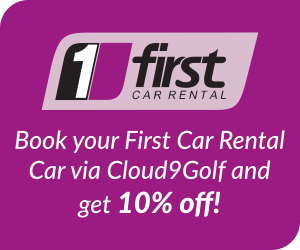 https://cloud9golf.co.za/wp-content/uploads/2015/09/9ways1.jpg 480 800 admin https://cloud9golf.co.za/wp-content/uploads/2015/08/logo.png admin2015-09-21 11:17:142015-09-21 12:31:599 Guaranteed Ways to Host a Successful & Memorable Golfing Event!